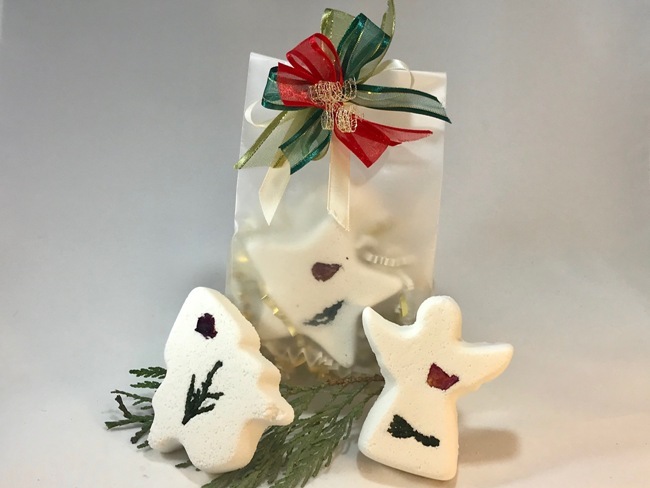 Whether it is a special occasion or not, handmade soaps or bath bombes appealingly packaged as gifts or matched with soap dishes are a delightful way to let someone know that they are remembered and cherished. The items selected in this section here are always unique, usually handmade by local glass or wood artists, and may change from time to time. Please know that all are carefully chosen and elegantly presented. Gifts to self will always make the day a little brighter, and may just be the pretty addition your bathroom has been waiting for. We are happy to mail these on to your recipients.